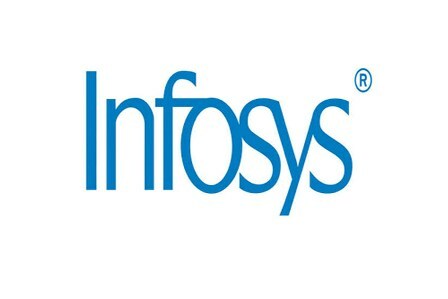 San Francisco - September 20, 2018: Infosys (NYSE: INFY), a global leader in consulting, technology and next-generation services, today announced the launch of Infosys Wingspan, its next-genlearning solution to help organizations accelerate their talent transformation journey. Based on open source technologies, the cloud-first and mobile-first solution is designed to provide a seamless interactive learning experience accessible anytime, anywhere and on any device. Infosys Wingspan provides best-in-class curated content from multiple sources that learners can access to enrich their knowledge. Users are provided a personal and engaging experience, by creating their own ‘goals’, measuring ‘time spent’ and ‘learning history’. With machine learning capabilities, the solution provides tailored and relevant learning recommendations while the AI-powered voice-enabled ‘learning assistant’ also offers guidance at any stage of the learning process. The connected and collaborative solution also enables interaction with peers and provides opportunities for collaborative and competitive learning. In addition, the solution allows learners to test their competencies through various assessments and gain relevant certifications. Wingspan also enables leaders to drive impactful learning initiatives with insights leveraging analytics, which helps companies understand the learning trends within the organization and plan requisite interventions. Since its launch in April 2018, Infosys Wingspan (known as Lex internally) has been used by over 1,14,000 Infosys employees. The solution is now available for clients and can easily be integrated into any enterprise’s IT infrastructure to transform its learning capabilities. Infosys Wingspan will be offered with round-the-clock guidance from experts and educators as well as technical and operational support. Phil Fersht, Founder and CEO, HfS Research, said, "We operate in an era where the demands on services talent to understand their clients' digital business models and apply emerging technologies to support them is unprecedented. The only way professional IT services firms can stay ahead of the market is to create university-like environments for their talent to thrive, and Wingspan is a powerful example of empowering the sharing of cutting-edge knowledge and insight across a massive global services organization."